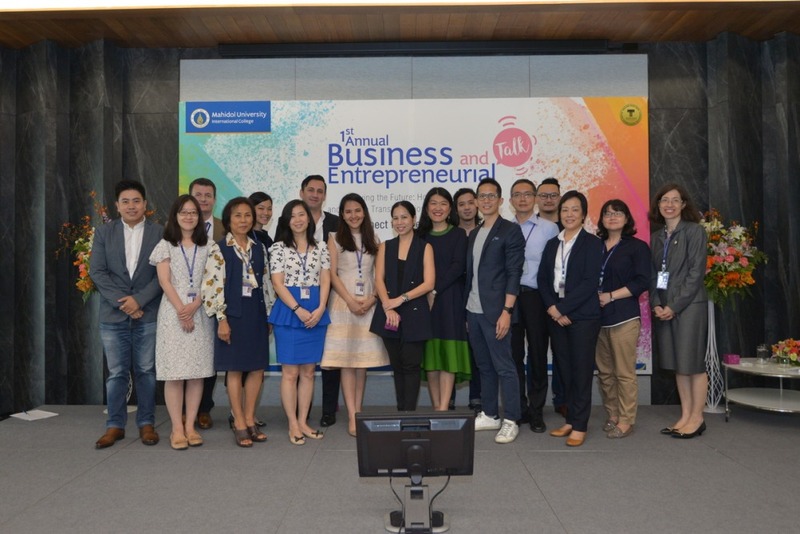 Mahidol University International College (MUIC) held the 1st Annual Business and Entrepreneurial Talk with the theme “Driving the Future: How Digitalization and Service Transformation Will Lead the Way?” featuring business leaders and successful alumni on May 3, 2018 at the Charinyarasami Hall, Aditayathorn Building. 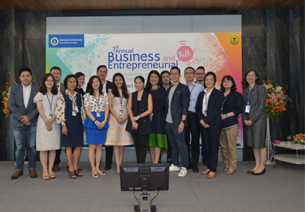 The Business Administration (BA) Division, which organized the event, invited business figures like Ms. Sirinit Virayasiri, Head of B2B Marketing of Google Thailand; Mr. Dirk Uphoff, ,>Purchasing Director, Southeast Asia, of Bosch Thailand;Mr. Tana Pothikamjorn,,/b> Head of Digital Banking of Siam Commercial Bank; and Ms. Handsa Wongsiripitack, Vice President, Creative & Strategy of Central Retail Corp.
Also among the guest speakers were successful alumni, including Mr. Thosaphol Suppametheekulwat, General Manager of New Arriva Co., Ltd and co-founder of QUALY; Mr. Vichapong Hatasuwan, founder of Selvedgework (makers of custom handcrafted denims); and Mr. Thanes Tientamnoon, owner of Medium Rare Steak & Wine; to share their valuable experience. There were 250 students, alumni, faculty and staff members who attended the event.